This is my favorite way to cook shrimp. I always buy the pealed, deveined shrimp to make prep work easier. These shrimp come out perfectly cooked every time I make them. They are a great compliment to any meal. I love eating them as a main dish, or cooled with cocktail sauce. They are also the perfect addition to pasta dishes and salads. Directions: Preheat oven to 425 degrees. Place your shrimp in a large bowl. Add in your olive oil, salt, pepper, and garlic powder. Toss until shrimp in completely coated. Spray a large sheet pan with non-stick cooking spray. Lay your shrimp evening on the pan. Roast for 9-11 minutes on just until firm. Nutrition Bite: Shrimp are a delicious source of protein, but often get a bad rap because they are on the high cholesterol list. 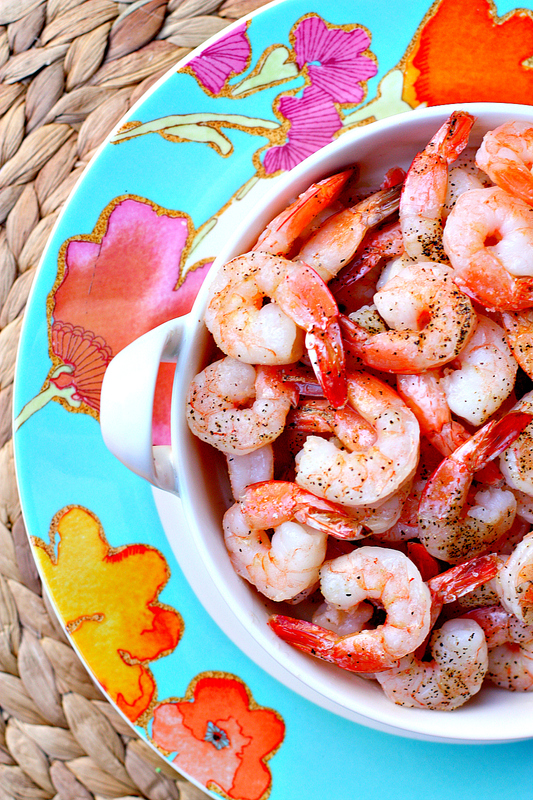 When you want to eat shrimp, plan what you will be eating throughout the day. If you want to have shrimp for dinner, a cheeseburger for lunch might not be the best idea. It’s what you eat throughout the day that matters most.